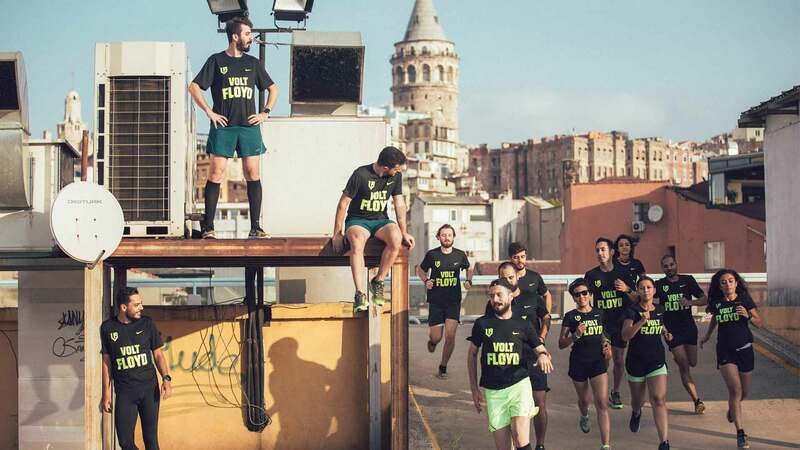 We are working on to enhance the running culture in Turkey. 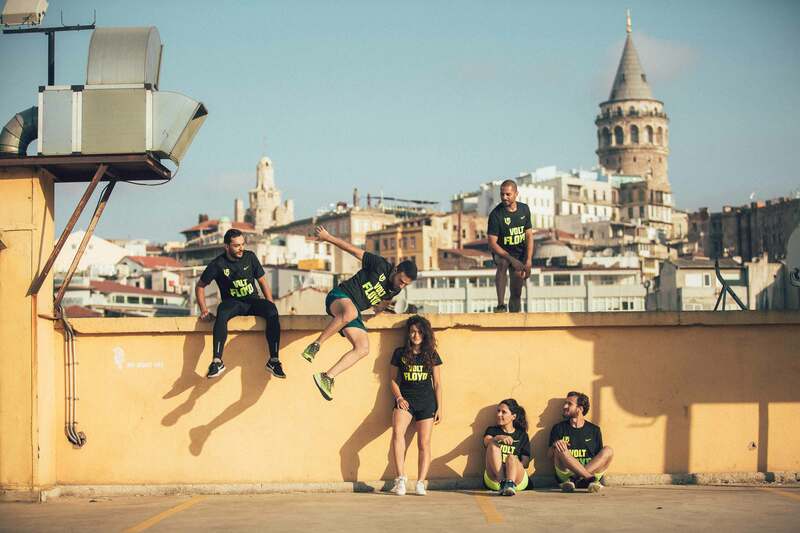 We are a running crew who works on to spread and enhance the running community in Turkey during the last 3 years. Compared to nowadays and the days that we start, there is a huge and promising difference in terms of the number of runners, running clubs and characteristics of the sports comunity. Nonetheless, it’s a fact that, the pace of the development of running society does not entirely satisfy us. We want more. This is the very goal that we would like to achieve during the entire time... . There is a classical question in everyone’s mind. What does Vold Floyd exactly mean? Volt Floyd is the 2 word-short version of a 3 years-long story. During this time, everything we had done was intended to go beyond time. Because of this, it wasn’t seemed ordinary. The word, volt is the a more shining and neon type of the colour yellow. A more unaccustomed type of yellow. What we are about to do, will be beyond the normal and futuristic. So we immediately believed that, this word fits splendidly. Floyd, is another strong word, that is used for changing the colour tone from darker to a ligher scale, which perfectly explains our journey since the beginning to now, with all the challenges that we overcome and experience that we put together along with the hundreds of joyfull moments. We intent to become a community by blending our experience and vision together and come up with new and creative ideas along with actions. As a result of the months-long work and preperations, we set a road map. We are here for to spread and enhance the sports culture in our country... Only with a different approach this time. We tried to touch each and every person, one by one. While thinking on how to shift up the pace of development and change, the first thing that pops in our minds is to define a strategy that defines our new structure. So, along with the one by one communication, inspiring the groups of people, causing them to start an active life and helping them to embrace the sports as the life style, became our main objective. When we achive this, like a domino affect, we foresee that, all the other people or groups who are actively linked to sports activities will be involved in this movement and do what we’ve done before. So, indirectly, they will be important parts of our master plan. Both in İstanbul and in İzmir! By this, we plan to achive a mass development. As VOLT FLOYD, we are here to inspire and guide the people, directly or indirectly. We are here, as more rebel than ever, bolder and faster... more active, collective and innovator... ! So, what are we going to do? 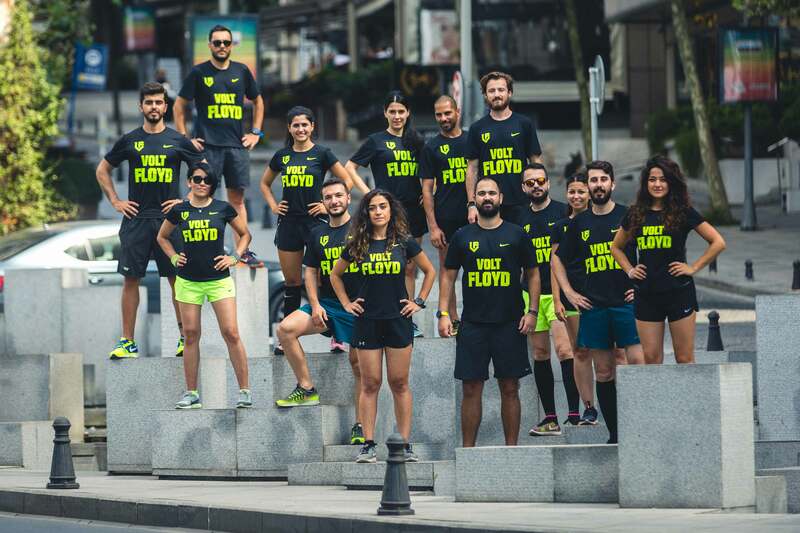 Basically, like we always do, to gather and run in every Tuesday in İstanbul and İzmir. Also, we chose to be on the side where the butterfly affect was started. The rest will be shaped by the people’s efforts and ambitions. We will make actions to make people wonder, move and search...”Dig it out” to be specific. The person who wants to be a part of this community will be open to search and explore. If you are already curious, this means that, you are on the right path. Take courage and go after it! Because #WEAREHERE !